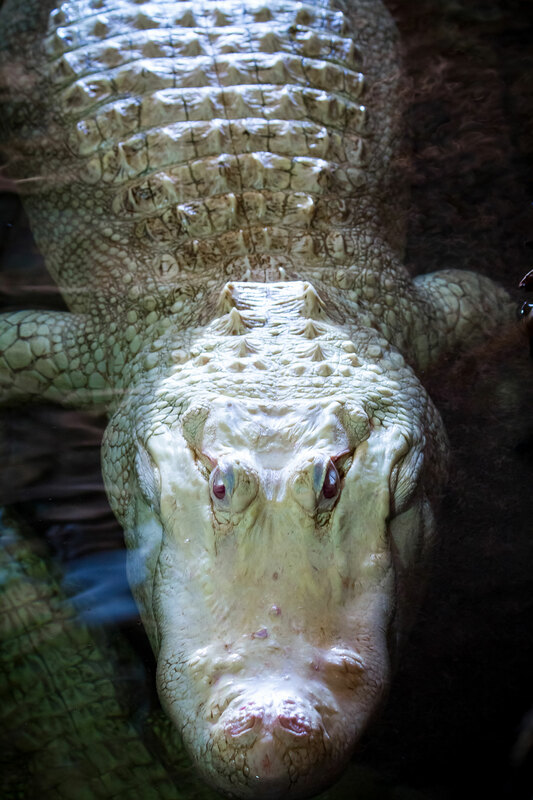 Albino alligators are alligators that lack the ability to produce melanin in their skin. This genetic defect gives their skin a yellowish white appearance and the eyes generally cast a pinkish hue due to the visible blood vessels in the colorless irises. This lack of pigment, though viewed as beautiful, has its downside. 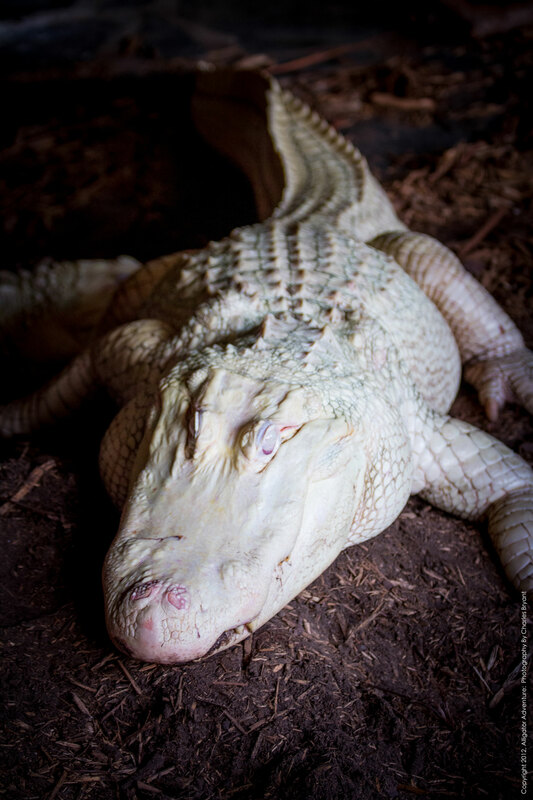 Most albino alligators rarely make it to adulthood because they are not able to camouflage themselves making them an easy target in the wild. Their skin is said to be extremely sensitive to sunlight in which too much sun will burn their skin. Leucism (LOO-sism) is often confused with Albinism, in which Leucistic animals produce small amounts of melanin which gives their eyes a rich blue cast and their skin a creamy porcelain white color. 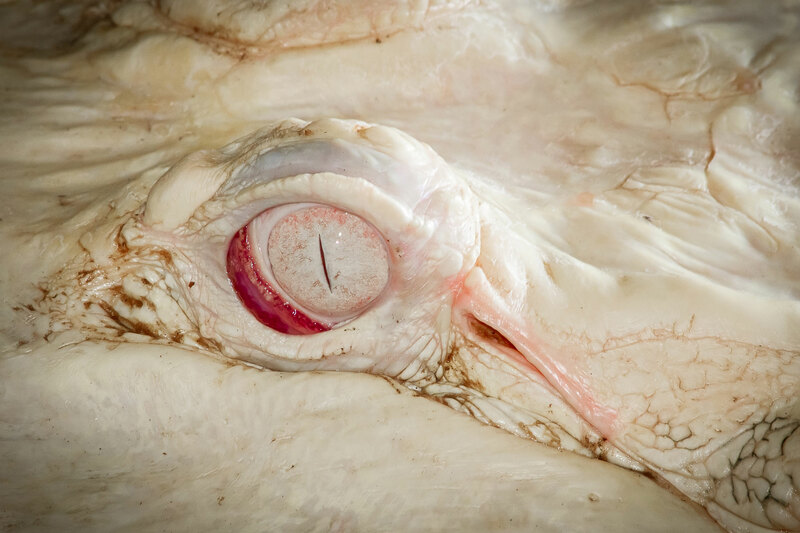 Myth has it that if you look into the eyes of an albino alligator it will bring you good luck.